The days are getting colder, the nights are drawing in – where better to be than under a blanket and watching a load of spooky Simpsons Halloween specials? 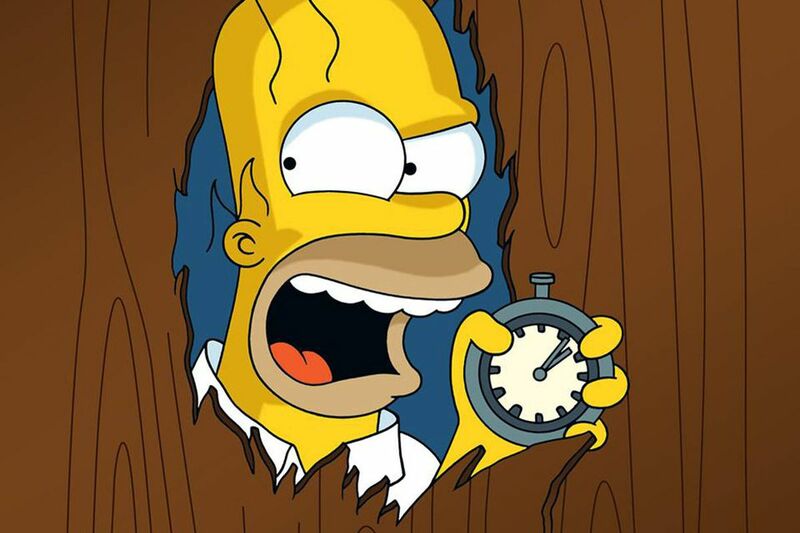 This week we’ve bravely dug out the 10 best tales from these Treehouse of Horror episodes. That’s your evening sorted then! Lisa, hell-bent on ruining soda for everybody during one of her science experiments, accidentally creates life out of her tooth, some Buzz Cola and a little static electricity. Bart finds out and wreaks a bit of havoc on the little guys, leading to a hilarious and well-animated bombing run of his bedroom; making use of some lesser-seen perspectives of the Simpson house. 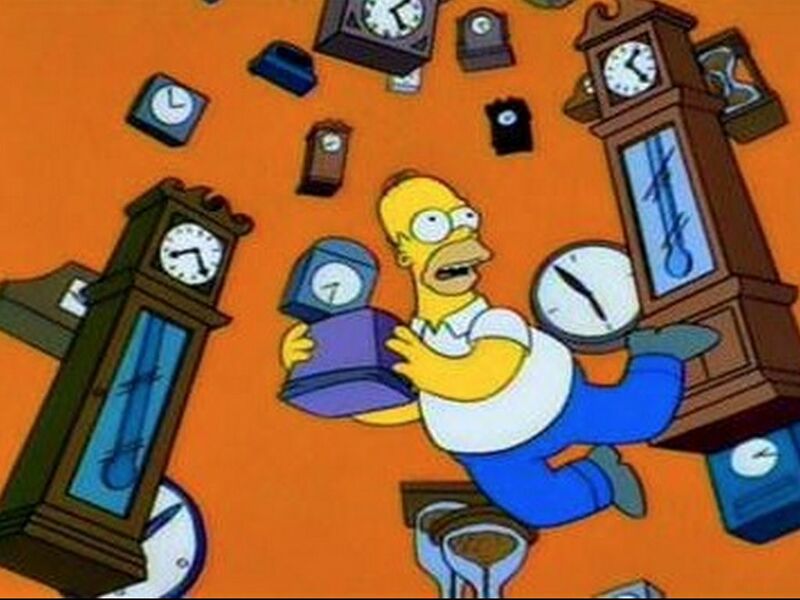 It seems like the writers were desperate to work in a time travel plot with as little lead up as possible here, because this one starts with Homer getting his hand stuck in the toaster, twice. In fixing it, he accidentally creates a device which lets him go back to the past, where he quickly learns the real meaning of the butterfly effect, as well as how terrifying a life with Ned Flanders as Big Brother would be. Is there anything creepier than a doll? Not really, that’s why this one can draw from such a rich vein of influence: The Twilight Zone’s ‘Living Doll’ and Child’s Play’s Chucky. Homer brings home a cursed Krusty the Clown doll as a gift for Bart’s birthday. 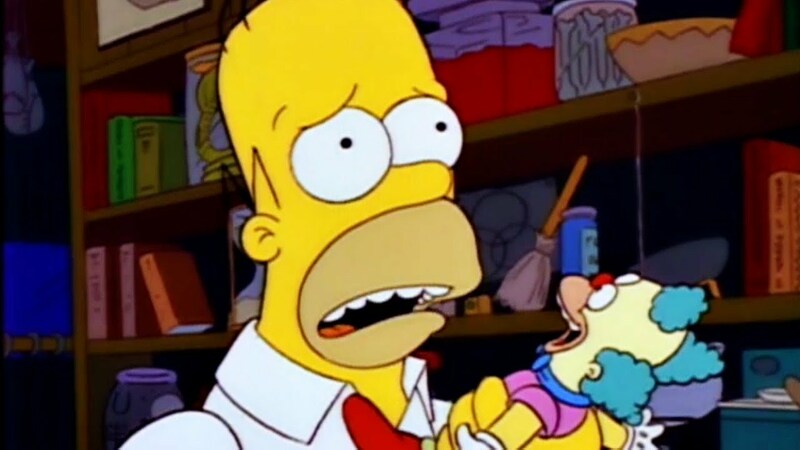 Whilst the doll treats Bart well, it makes Homer’s life a living hell, trying to kill him and enact other such inconveniences. Luckily, the berserk doll is tackled by flicking its ‘mode’ switch from evil to good. If only all life’s problems could be sorted this way! This one starts off the way so many quality spooky tales do – with something going bump in the night. The Simpson kids discover Bart’s evil conjoined twin brother Hugo has been living in the attic and wants to sew himself back to Bart. Thanks to a bit of investigation by Dr Hibbert, it turns out that Hugo was the good twin and Bart was the evil one. This leads to them switching places like Lindsay Lohan in The Parent Trap, just with less hijinks and family feelgoodness. As the very first Treehouse of Horror, The Raven definitely deserves a mention here. 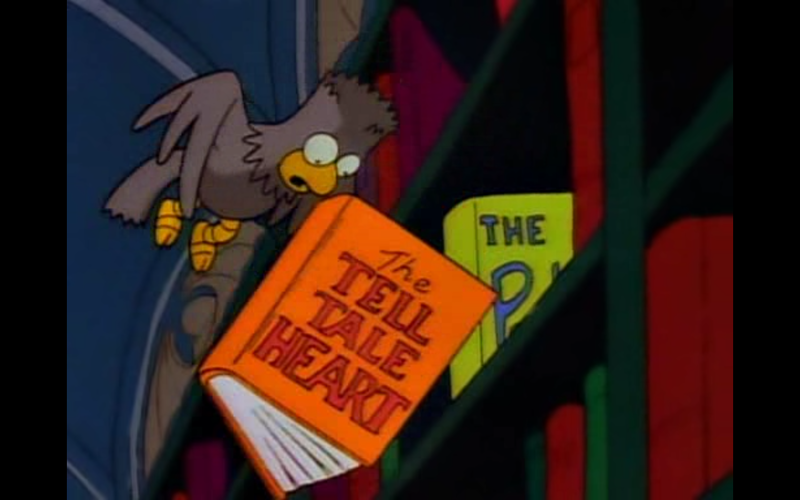 The name actually comes from the structure of this first Simpsons Halloween special: the tales are framed by Bart and Lisa telling ghost stories to each other in the Simpson treehouse. With atmospheric narration by James Earl Jones reminiscent of Vincent Price and Dan Castellaneta’s Homer as surprisingly effective counterpart to Bart’s Raven, this one will always be an enduring classic. HG Wells’s story of human/animal surgical alteration by vivisection is the gruesome inspiration for this one, where everyone gets turned into an animal hybrid. Well that’s what you get for vacationing on the “Island of Lost Souls” guys. 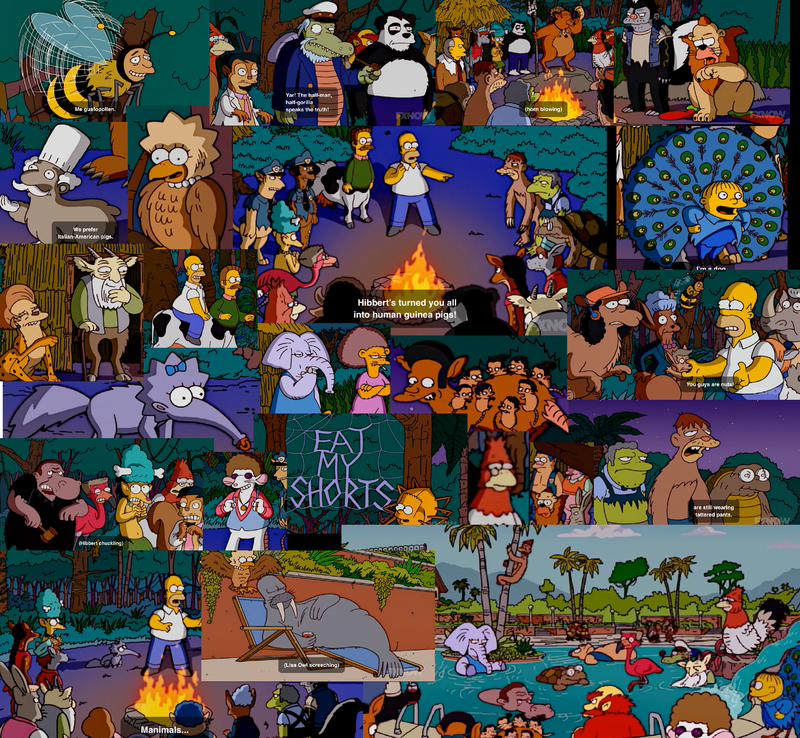 Chief Wiggum as a pig, Disco Shrew, Skinner and his mother as kangaroo with joey – just seeing the way that the writers interpreted each character as an animal is awesome. How Flanders becomes a cow with functioning udders is beyond me, though. The less thought about that one, the better. When Bart wakes up with a real-life rake wound from his nightmare, he discovers that the other kids of Springfield Elementary are being hunted down in their dreams by the evil spirit of Groundskeeper Willie. We love a Willie episode, we do. The tartan shapeshifting is an especially great touch as well. 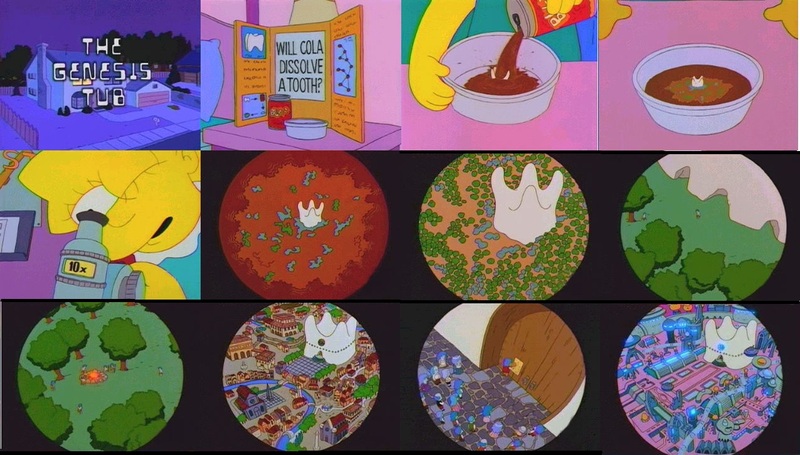 This is the show’s take on the classic Faustian tale and in the most ‘Homer Simpson’ way possible: A donut for his soul. 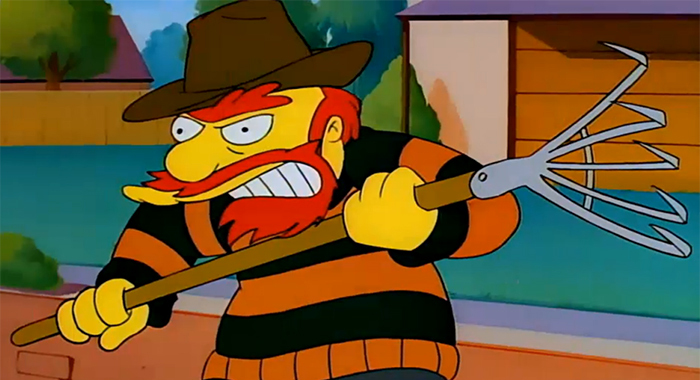 One of the best things about these Treehouse of Horror episodes is the creative and hilarious casting of characters. 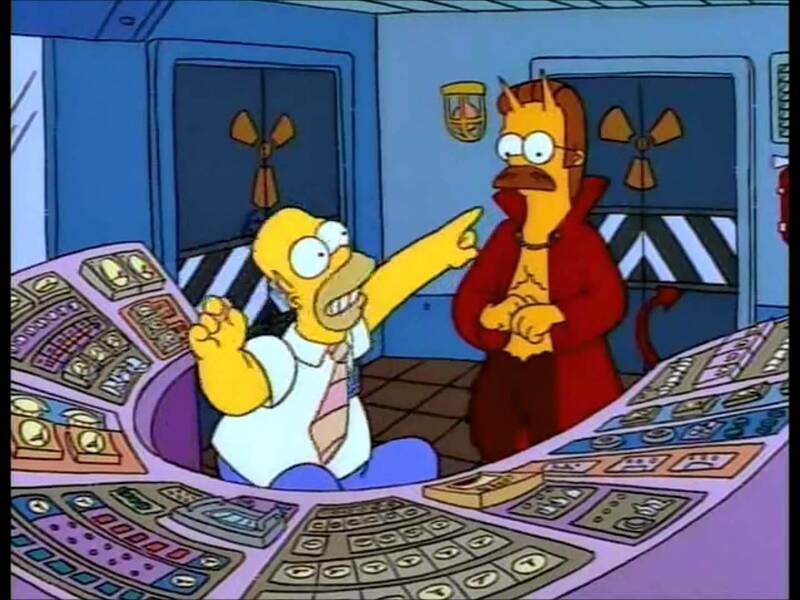 Ned Flanders as the devil in this one is an excellent case in point. Battling the dual challenges of overcrowding in detention and a low catering budget, Principal Skinner makes the delicious discovery that Jimbo Jones would taste great in patty form. Seeing the fat versions of Skinner, Krabappel and Lunchlady Doris is a high point to an already awesome episode. 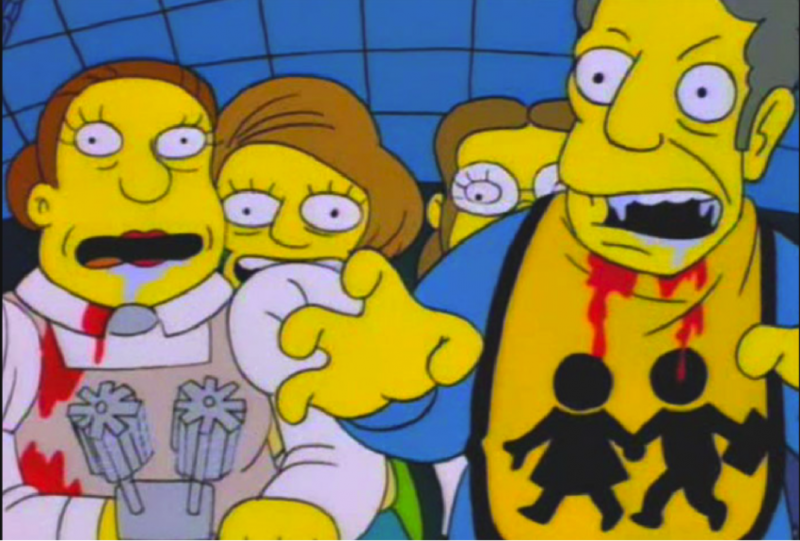 Here it is: from season 5, perhaps the finest Treehouse of Horror episode of all time. Willie’s back and he turns up just in time to catch an axe in the back, true to the grisly source material courtesy of King/Kubrick. This is the best tale out of the best episode, we think. The ‘Willie getting axed’ gag is amazing, setting the scene with a droning, synthy soundtrack reminiscent of the movie works well, plus there’s some great Marge lines – this one has it all. Too old for trick or treating? No problem. Turn the lights off and get a marathon of these episodes going – sounds better than a bag of sweets to me any day! Did I miss your favourite one? Let us know on facebook.com/fudgeanimation or @fudgeanimation on Twitter!